T.A. hasn't connected with their friends on Goodreads, yet. T.A. Barron grew up in Colorado ranch country and traveled widely as a Rhodes Scholar. He is the winner of the de Grummond Medallion for “lifetime contribution to the field of children’s and young adult literature” and many other awards. T. A. Barron is the author of more than 30 highly acclaimed books, many of which are international bestsellers. They include The Lost Years of Merlin (now being developed into a feature film), The Great Tree of Avalon (a New York Times bestselling series), The Ancient One (the tale of a brave girl and a magical tree), and The Hero’s Trail (nonfiction stories of courageous kids). Though he’d dreamed as a young man of becoming a writer, he couldn’t find anyone to publish his first novel. He joined a successful T.A. Barron grew up in Colorado ranch country and traveled widely as a Rhodes Scholar. He is the winner of the de Grummond Medallion for “lifetime contribution to the field of children’s and young adult literature” and many other awards. 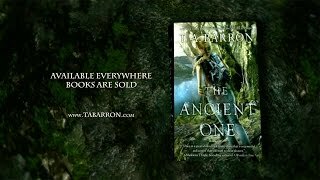 T. A. Barron is the author of more than 30 highly acclaimed books, many of which are international bestsellers. They include The Lost Years of Merlin (now being developed into a feature film), The Great Tree of Avalon (a New York Times bestselling series), The Ancient One (the tale of a brave girl and a magical tree), and The Hero’s Trail (nonfiction stories of courageous kids). Though he’d dreamed as a young man of becoming a writer, he couldn’t find anyone to publish his first novel. He joined a successful business, eventually became president, then decided to try again. So in 1990, he surprised his business partners by moving back to Colorado to become a writer and conservationist. 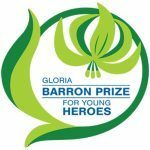 Since 2001, The Barron Prize has been awarded to more than 100 young people whose projects make a positive difference in the world. This national award is meant to highlight the idea that every single one of us — regardless of gender, race, age, or anything else — can find great qualities in ourselves. Can make a difference with our lives. And, yes. Can be a hero. Spring/Summer 2013 Series First-Round - What series will we be reading after the Wheel of Time and Night Angel?